Mainly a collection of stop-motion shorts. Click on the image to watch the video. 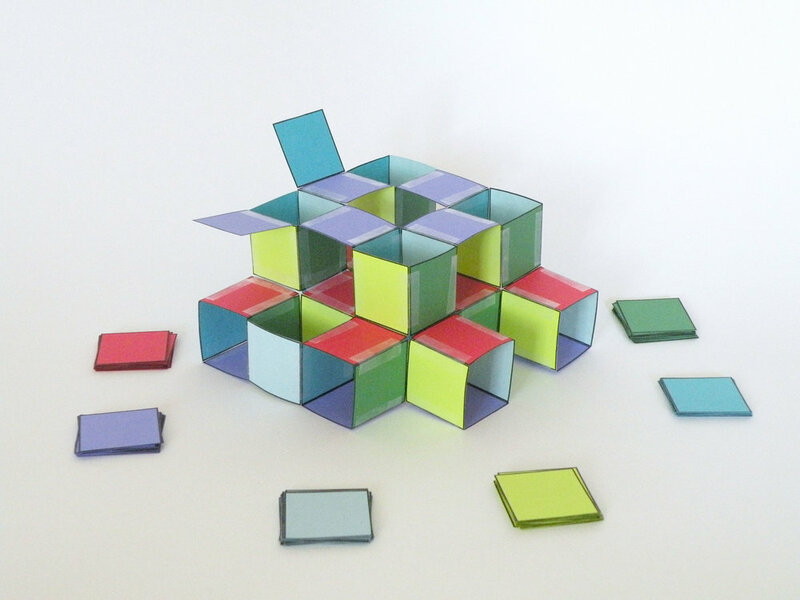 See how easy it is to make a polyhedron. The construction of a metal icosahedron. Natural and indigo dyed woven reed. 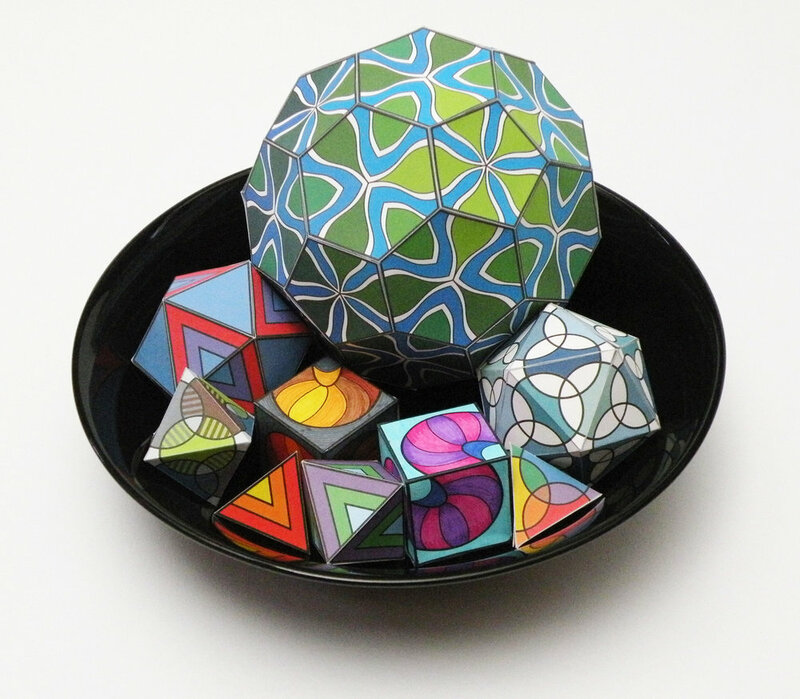 Polyhedra walk together into a snazzy display. 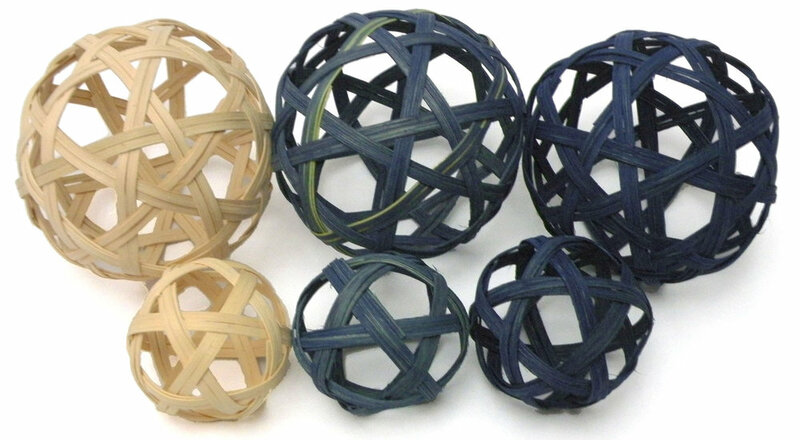 Watch an infinite polyhedra grow.